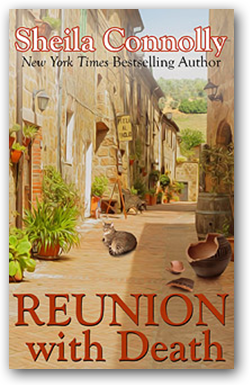 Laura Shumway couldn't say why she'd agreed to go on the class reunion trip to Italy. Maybe it was to take stock of her life, or maybe it was just to catch up with old friends, take in the sights, and relax in the beautiful Tuscan countryside. Either way, she knew she'd discover a lot on the trip, about both herself and her former classmates. What she didn't expect to discover was the dead body of esteemed professor Anthony Gilbert. Gilbert had had a long and illustrious career at the college. Now retired to Italy, he appeared as a surprise guest speaker at the women's vacation villa, still disarmingly handsome, still charming, but not nearly so eminent in the eyes of Laura's classmates. As a young professor all those years ago, Gilbert used his position and looks to seduce and then cast aside many of his young and impressionable students, and at least some of the women on this trip had been hurt by his false promises of love. The kind of hurt that runs deep and may have given any number of them a motive for murder. Before the polizia or carabiniere get involved, Laura and a few trusted classmates set out among the vineyards and hills of the Italian Riviera to solve the murder on their own. With the help of some influential locals and good old-fashioned detective work, they're soon led to the conclusion that one of their classmates might be a killer—and what started as a trip to see how far they'd all come may turn into a stark lesson about just how far one of them would go. Claire Hastings, professor at a prestigious women's college, has retreated to an isolated cabin in Maine in midwinter to work on the book that will guarantee her tenure, but she's having trouble finishing it. Then disgraced journalist Jonathan Daulton stumbles into her cabin late one night, soaking wet and bleeding from what seems to be a gunshot wound. 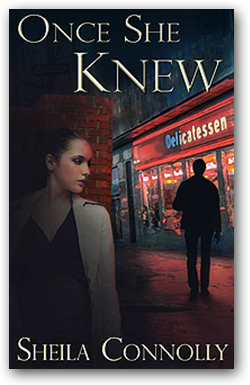 She recognizes him from a romantic encounter at a conference years earlier, one she's been trying desperately to forget. Much to her relief, and embarrassment, he doesn't appear to remember her. When Claire learns that Jonathan is suspected of killing an FBI agent, she urges him to turn himself in immediately, but Jonathan has other ideas, all of which involve her. As he points out, if the FBI finds that she has been harboring a fugitive, she can forget about that peace and quiet she wanted. Then he shocks Claire by faking her kidnapping. Entangled in whatever Jonathan's mysterious troubles are, Claire finds herself on a frantic odyssey from Maine to New York City, figuring that the only way to clear her name is to clear Jonathan's. As Jonathan gradually reveals that his real goal is to stop what he believes is a terrorist plan to assassinate the First Lady at a United Nations event, Claire knows she's in over her head.